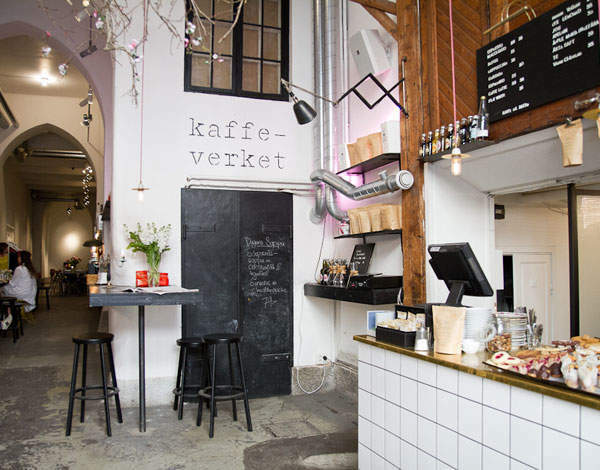 Snickarbacken is a mix of café, shop and art space. The space is cavernous with huge vaulted ceilings and hidden rooms all dimly lit with traditionally Scandinavian lighting and plenty of candles. It is a busy, inviting space full of everyone from ‘latte pappas’ to tattooed girls and whole generations of the same family sharing a cinnamon bun. Once you’ve had a look at the beautiful things in the shop areas, which are full of tables for the café, you can choose from the generous menu. Soups, sandwiches, cakes and local treats are all available and while not cheap they are very good. We are in Stockholm, after all. The shrimp sandwich is quite excellent, piled high with tender little pink prawns and the bread is covered with a beautiful mayonnaise. If you’re going to spend 120 krona on a sandwich, you might as well get a good one. I just loved this place. 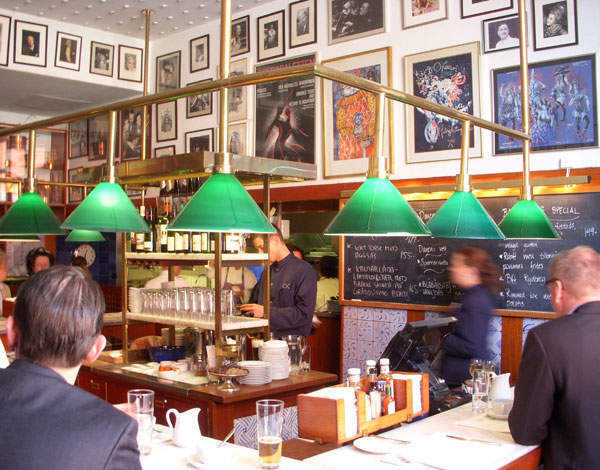 Opened in 1962 it is a small counter restaurant with only 28 covers at the back of Stockholm’s grand Opera House. 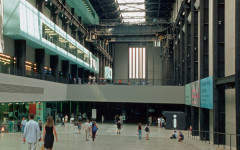 The walls are covered with beautifully painted blue and white tiles, posters from the operas and photographs of the various opera stars from the past century. 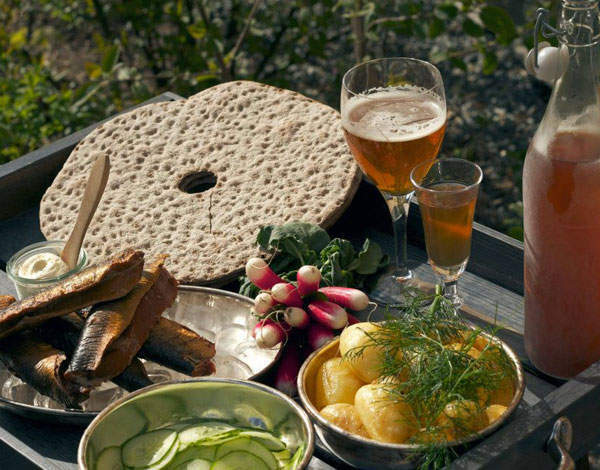 The food is traditional Swedish husmanskost from pickled herring to the most wonderful Swedish meatballs with their rich, creamy sauce and sharp lingonberry and cucumber accompaniment. There is no booking here and it is always packed full giving it a lovely atmosphere. I could spend hours – and lots of money – here. The prices are reasonable for Stockholm, though, and they describe their food as being prepared ‘with very high quality – and lots of love’, which I find simply adorable. This would be my regular haunt if I lived here. If you want to enjoy a few moments of peace surrounded by Swedish design there are few better places to go then the Tea Room inside the Svenskt Tenn shop on Stockholm’s grandest shopping street, Strandvagen. 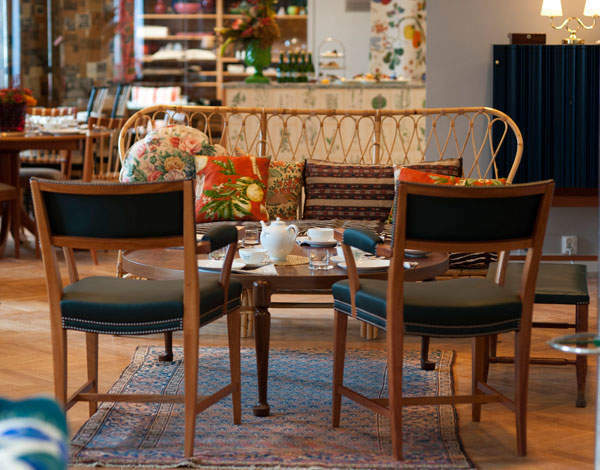 With a huge selection of teas, including their own blend, plus a range of traditional Swedish dishes and a Swedish take on English afternoon tea, it is really very civilised. If you want to spend a few cosy hours by the water then this is surely a great option. 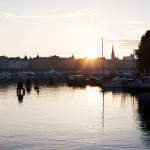 Situated on the small island of Skeppsholmen only a five to ten minute walk from the centre of Stockholm, you can enjoy a little taste of the archipelago without having to venture out in a boat. The breakfast is excellent if you’re looking for a lazy brunch and this is the first hotel I’ve found that has mastered scrambled eggs at a buffet – the eggs are loose and creamy rather than rubbery and horrible. That alone deserves high praise. The smoked shrimp on the lunch and dinner menu is also really wonderful – both powerfully smoky and beautifully sweet. They also do traditional Swedish Fika if you’re after a cup of tea and something sweet at any point during the day. They have a lovely dining room inside, however, the main attraction here is the wooden terrace that looks out over the water. They provide blankets and have sweet little lights hanging over the terrace so you can stay late into the night very comfortably. There are few better places to enjoy a glass of wine during the long summer nights than outside this lovely little design hotel.